Welcome to Day Three of the 2008 NOTY Tournament. One note: First-round voting will continue until (and after) all 32 matches have been posted. So if you miss a game, go back and be a good citizen. Today's first battle: creative naming versus a Couch with a better first name than Tim. No. 14 Urban Couch: Cherokee-descended art professor at West Virginia University who died last year. 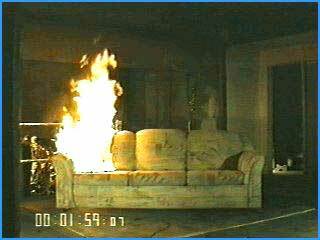 Wonder if he became frightened whenever he saw a burning couch.